Sports Psychology is usually used to help athletes to perform at their highest level, but it can be used to treat PTSD. Sports Psychology can be utilized as an alternative type of CBT, or Cognitive Behavior Therapy, known as Psychomotor Therapy. One type of therapy was developed by Albert Pesso, a dance instructor who studied with Martha Graham. They experimented with dance to help PTSD patients recover with surprising results. Athletics, like yoga-golf-type exercises, provide both flexibility and balance to help re-establish normal cognitive processes in people suffering from PTSD. While there have been limited clinical studies of using Sports Psychology Therapy and its effects on PTSD, there have been a large percentage of these patients who have shown significant improvements using Sports Psychology Therapy. Sports Psychology Therapy has even proven to help those recovering from PTSD in a relatively short period of time, in a matter of weeks. Sports Psychology Therapy-Type intervention, like yoga-golf-type exercises, provides a social structure and physical function that are crucial in PTSD recovery. The chief benefit of using a sports psychology-type intervention is that it involves large skeletal muscle movement. Since balance and stability are key factors in treating PTSD, yoga-golf-type activities provide coordination, flexibility, balance, and movement of both high and low-threshold muscles, (these are muscles in the limbs and the core). One of the key parts of the ESPY Golf Swing Technique is the golf swing wrist action required to preset the wrists, as shown below. This golf swing wrist action, which is a basic maneuver, helps the individual re-establish pathways between the mind and body disrupted by a dramatic experience. Yoga-golf-type activities provide an excellent CBT-type option for individuals dealing with PTSD to recover in relatively short periods of time, especially in a group setting. The other benefits of incorporating Sports Psychology Therapy and exercises, like yoga and golf, are that it addresses both mental and physical balance and stability, including socialization with others, especially individuals with similar experiences of PTSD. 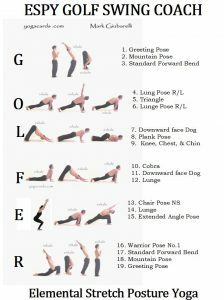 Yoga-golf-type activities have shown evidence that they can alleviate symptoms of PTSD by improving a person’s mood and confidence by building self-confidence, self-discipline, self-esteem, awareness, teamwork, and communication skills. Recovery from a trauma that causes PTSD focuses on re-establishing a daily routine and pattern that includes structure and support from engaging in group activities. 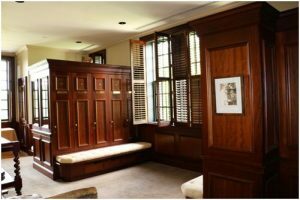 This provides the individual with both challenging and rewarding experiences toward the recovery process. Group therapy, provided by Sports Psychology, using yoga-golf-type activities, can be more effective than one-on-one type therapy, where no physical accomplishment is realized. 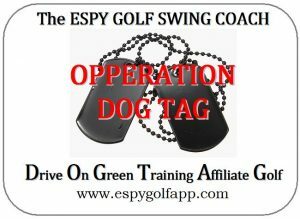 The step-by-step ESPY Golf training format is based on establishing a routine that is the basis of Operation DOG-TAG. This includes incorporating familiar motor skills called Apperception, where a baseball-style golf swing is used to help the individual connect quicker with their instructional exercises. This baseball-style golf swing technique allows the golfer to preset their wrists and sync their elbows with their shoulders to create a simple golf swing technique to establish their confidence. This ESPY Technique, shown above, was a similar technique that Mr. Arnold Palmer gave President Eisenhower before a Pro-Am, and this significantly improved the President’s golf game. 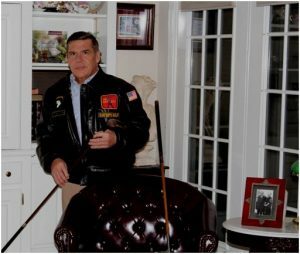 Operation DOG-TAG is based on the ESPY (Ergonomic Sync, Preset, and Yaw) Golf Swing Technique used to reduce the frustration with learning the golf swing. Two of these elements (Sync and Preset) are typical maneuvers that preset the golf swing wrist action that is critical to their performance. The third element, Yaw, is how a baseball batter would take the bat to the top of their swing. 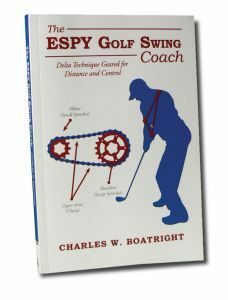 The ESPY Golf Swing takes advantage of a well-established muscle memory from the batter’s box and transfers these muscle memories to the tee box, with confidence, consistency, and control. 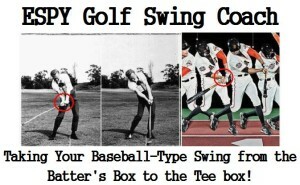 This is shown in the time-lapse photography comparing the golf swing vs. baseball swing. Establishing muscle memory, confidence, and consistency, with a level of control, are key in treating people that have experienced a dramatic experience. The Sports Psychology Therapy gets people with a dramatic experience back into a functional role in their lives. A lot of time people with PTSD have difficulty engaging with new experiences. The Apperception technique, which is the main theme of the ESPY Golf Swing, uses familiar motor skills and activities to develop the golf swing sequence and routine. This book is based on a self-coaching forum (ASPEN Pyramid). The ASPEN Self-Coaching Technique provides the beginner and advanced single-digit handicap golfer with a safe, ergonomic classic golf swing mechanics. The ASPEN forum for coaching golf provides basic skills for more power and control in the golf swing sequence without debilitating injuries that are common with some modern-day golf swings. 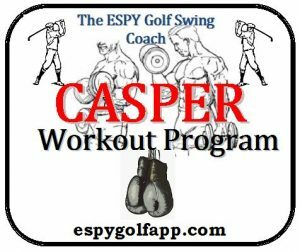 As part of The ESPY Golf Swing Coach forum is a workout program designed especially for golfers with an effective SR925 Diet Program detailed below. ESPY Golf Swing Coach- ESPY App Developing the golfer’s Rhythm w/o creating the golfer’s Blues. 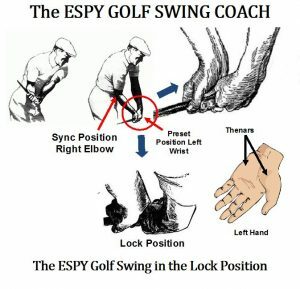 The ESPY Golf Swing helps the golfer establish the correct wrist action in golf swing demonstrated by David Duval in an interview with Charlie Rymer on Golf Channel. 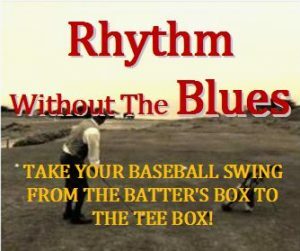 Also, learning The ESPY Golf Swing Coach process is an excellent way to develop Rhythm without experiencing the Blues in your golf game for confidence; learn how to take your baseball-style swing from the batter’s box to the tee box. Time-lapse photography that I reviewed during my Xerox Box Golf Research Project comparing the golf swing vs. the baseball swing and how similar the Sync/Preset Maneuver are in both swings.